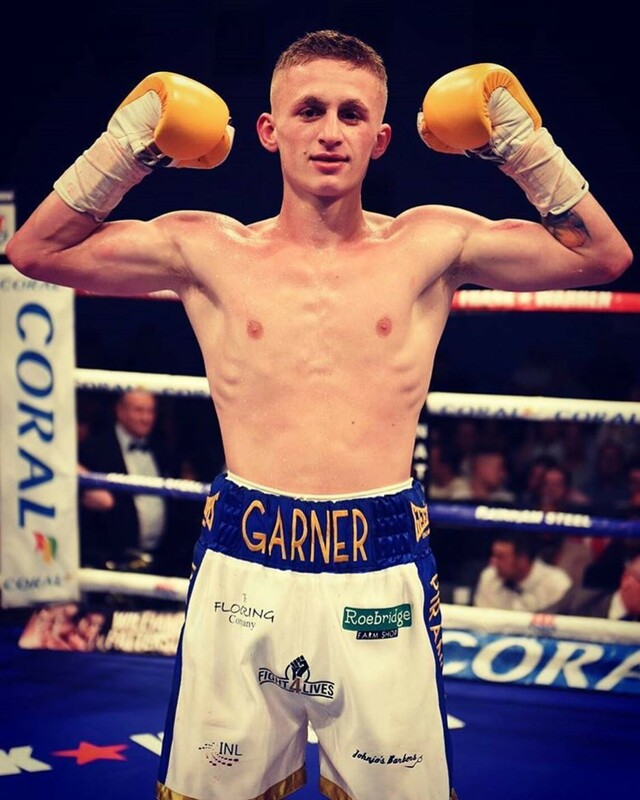 SAM BOWEN IS relishing a second shot at top billing in his home county when boxing returns to the Morningside Arena in Leicester on March 23, but just don’t expect him to show it until the fight has been called to a halt. 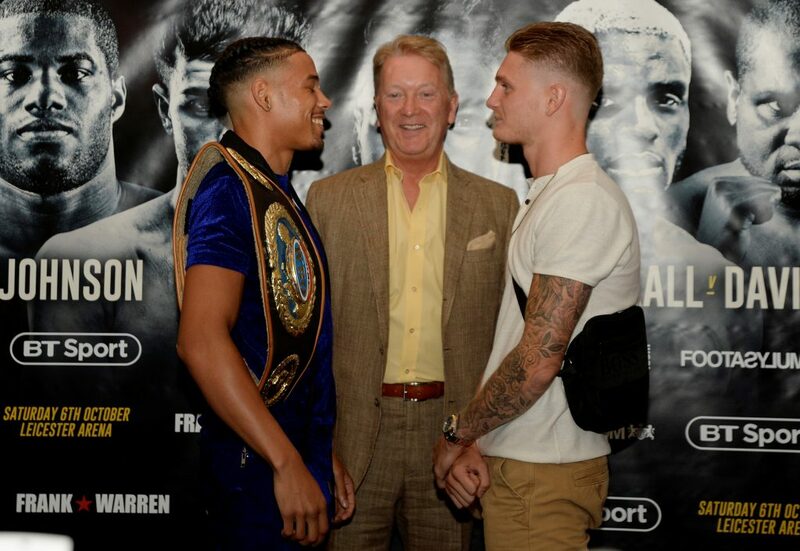 British super featherweight champion Bowen, who signed up with Frank Warren and promptly won the WBO Intercontinental title in October against Horacio Alfredo Cabral in October, is looking forward to bolstering his ever-increasing credentials on BT Sport, but won’t allow himself to get carried away with occasion. The 26-year-old makes a first defence of his Lonsdale belt against the Scottish champion Jordan McCorry. “I sort of block out how big the event is for me and literally just concentrate on the fight,” said Bowen, who was originally set to defend his title against Ronnie Clark before the Dundee man withdrew due to injury. “It could be in front of a million people or ten people and I treat it the same because if you treat it differently it can affect your mental state and you could get overwhelmed. “That is the last thing I want to do and then mess up and get caught with a silly shot. “I took it all in more once I had won against Cabral and you could see from my reaction that I was buzzing. Once it was done I could take it all in and that is when I thought ‘this is mega’ and when I had the interview after it made me realise what a step up it was from when I won the British, which was not on a TV and not in a big venue like that. The Argentinean Cabral proved a tough nut to crack for the 14-0 Ibstock man known as ‘Bullet’. The more Bowen fired to the head, the more his opponent seemed to enjoy it. “Yeah he was a fruitcake! I tried not to get drawn into his game because when I missed with one shot he looked where my hand went, to take the mick sort of thing. “I needed to keep to my gameplan and not let him disrupt me. You’ve seen good fighters get hit at any level and get knocked out, so I had to concentrate on the fight. After the first round I toned it down a bit because I was a bit rushed and I enjoyed it myself too much. The game-changer came in the fourth round in an unorthodox fashion when Bowen mixed up his attack and propelled himself into winging left hook to the body. It was game over. “I sort of throw it without even realising. You don’t plan every shot and it happened so fast and then he was rolling around on the floor. 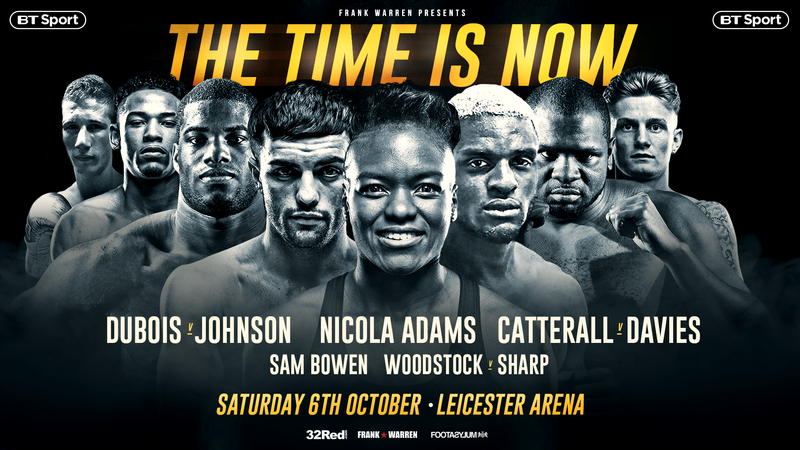 The Leicester contingent is a growing band of boxers who are all determined to make the Morningside Arena a regular fixture on the fight calendar. As well as Bowen, Lyon Woodstock is bidding to get back on track after a first career defeat to Archie Sharp last time out, while local lads CJ Challenger and Kyle Haywood meet with the vacant Midlands Area super welterweight title at stake. “If there was only one fighter in Leicester it wouldn’t be so exciting, so it is good to have a few of us to make it happen,” reasoned Bowen. 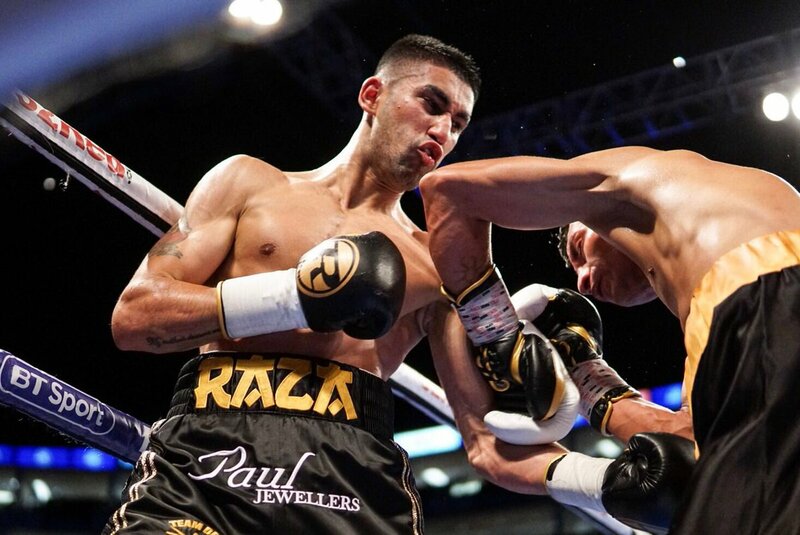 “My last one in October and this one in March will be two big shows in Leicester and it is great for our families and friends that we are able to box here and not have to travel to other places. 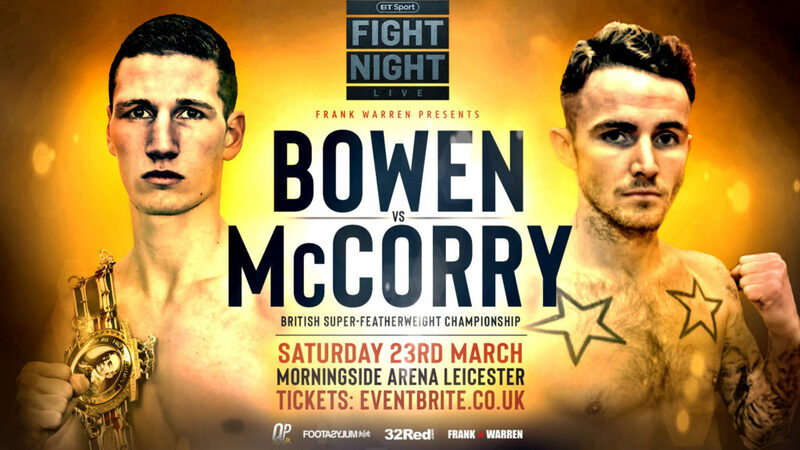 British super featherweight champion Sam Bowen defending his title against Jordan McCorry headlines at the Morningside Arena in Leicester. 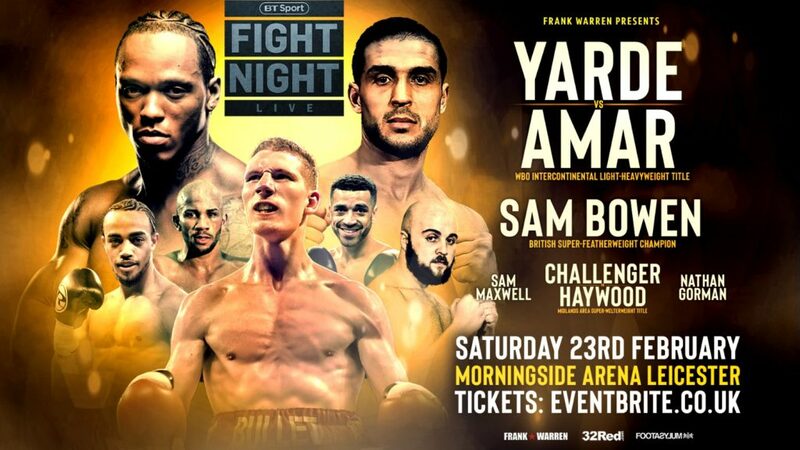 Also on the bill, super lightweight Sam Maxwell bids for his first title against the Spaniard Kelvin Dotel with the WBO European belt at stake, while local fighters CJ Challenger and Kyle Haywood are set to battle for the vacant Midlands Area super welterweight title. 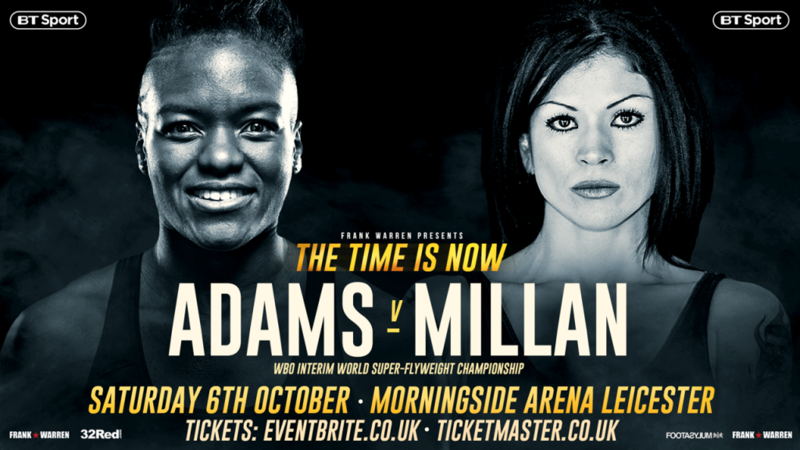 Nathan Gorman defends his WBC International Silver heavyweight title against the 26-1 Brazilian Fabio Maldonado, with Lyon Woodstock, Willie Hutchinson, Tommy Fury, Ryan Hatton and Mark Chamberlain also featuring on the card. 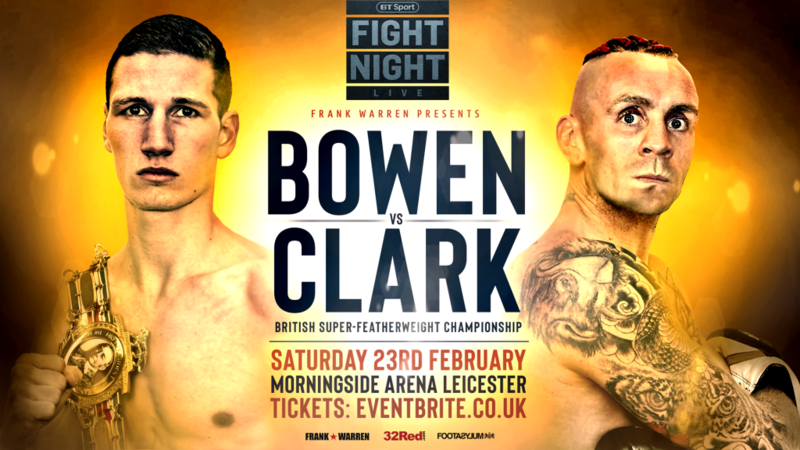 Sam Bowen makes a highly-anticipated first defence of his British super featherweight title against Ronnie Clark at the Morningside Arena, Leicester on February 23, live on BT Sport. Light Heavyweight sensation Anthony Yarde (17-0) will also return to action in a defence of his WBO Intercontinental light heavyweight title. The show will feature a number of the city’s finest young prospects, including a Midlands Area title challenge for 9-0 super welterweight CJ Challenger and the return of 11-1 super featherweight Lyon Woodstock. Elsewhere on the bill, 14-0 Cruiserweight Jack ‘One Smack’ Massey will look to climb the world rankings as he challenges for the WBO European cruiserweight title. Bowen, 26, was originally scheduled to defend his title against Clark, 33, this weekend before the 14-0 man from Ibstock in Leicestershire was forced to withdraw after suffering a rib injury in sparring against his gym-mate David Avanesyan. 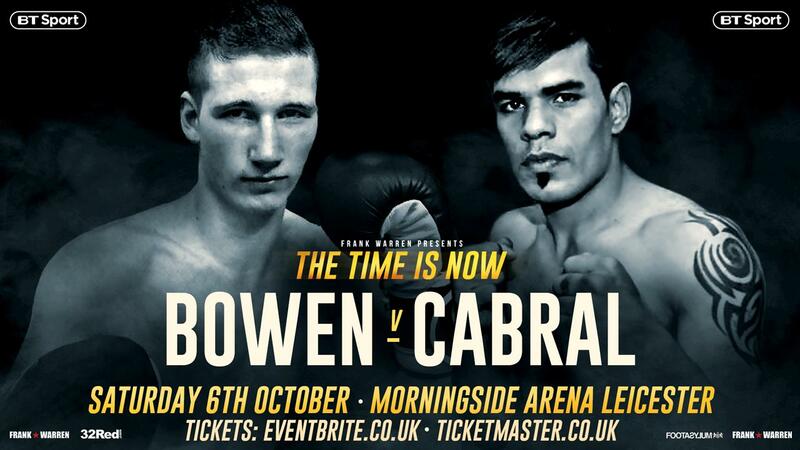 It was a setback which disrupted some strong momentum built-up by Bowen, who won the Lonsdale belt against Maxi Hughes in April before – after signing a promotional agreement with Frank Warren – adding a second belt to his collection with a hugely impressive fourth round stoppage of Horacio Alfredo Cabral for the vacant WBO Intercontinental title at the same Leicester venue in October. 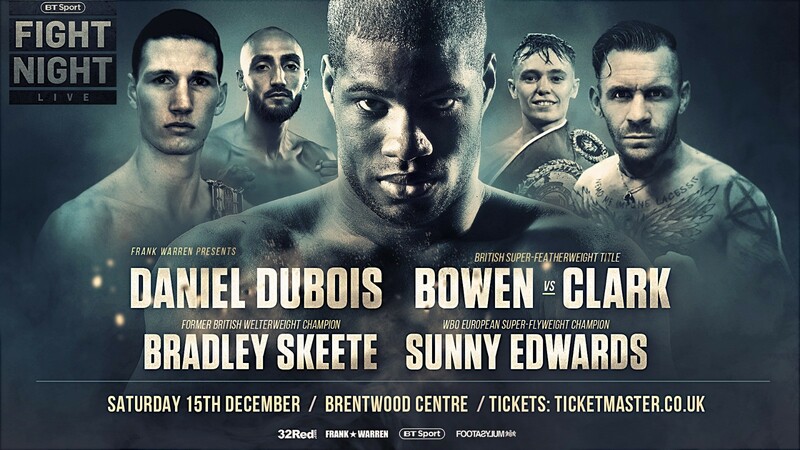 Bowen will be bidding to vindicate his firm belief that he is the top man in the domestic division against the wily Scot from Dundee, who recorded a significant upsetting of the odds in his last fight in February. In front of a packed house at York Hall, Clark lived up to his pre-fight promise and de-railed the unbeaten quest of formidable prospect Zelfa Barrett to win the vacant IBF European title. Clark spectacularly sent Barrett to the canvas in the sixth round before proceeding to win via a majority decision at the end of 12 rounds. Featherweight talent Ryan Garner (7-0), Scottish Light Heavyweight amateur standout Willy Hutchinson (6-0), Tamworth’s 4-0 Light Heavyweight Ryan Hatton all return to action in Leicester along with a second professional outing for Tyson Fury’s younger brother Tommy Fury at Light Heavyweight. Tickets from £40 are on sale NOW via Eventbrite.